I have mixed emotions regarding Amazon. On the one hand, and I guess like most indie authors, I am grateful for the opportunity Amazon has given me to become a self-published independent author of thrillers. On the other hand, they do things that puzzle, baffle and annoy me. Writing a book, a novel, fashioning a work of fiction, and doing it well, is not easy. Even for ‘natural’ writers, highly gifted and driven writers pursuing destiny, it’s hard work. That’s not to say it’s not enjoyable. A writer on a roll, writing well, enjoys a ‘high’ like nothing else on earth. Like a ride to the moon, it can be the most satisfying thing he’s ever done. He gets to feel good about things. But then, after completion, he has to sell his book. This is the hardest part. Getting reviews can be really tough; it’s a hard road to tread. And now, thanks to Big Brother Amazon, it just got a lot harder. 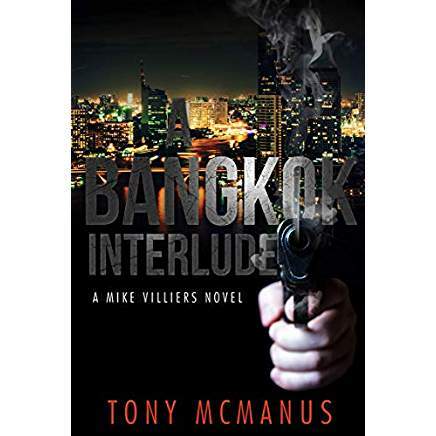 An Australian lady recently purchased and downloaded a copy of my novel, A Bangkok Interlude. She thought it was, ‘Awesome’ and said so on Facebook. She then wrote a review reflecting her enthusiastic opinion. Amazon rejected her review and directed her to their ‘Community Guidelines’. She went there and found that in order to publish a review she had to have spent AU$50 minimum; I imagine that is per year. I have discovered that this rule applies in every ‘Amazon Community’; in Britain, (Amazon.co.uk) for example, one must spend 50 pounds sterling in order to place reviews. The same holds for all the ‘Amazon Communities’. It wasn’t always this way. Once it was easy and straightforward. You bought a book on Kindle and, if you had a mind to, you wrote a review. It made sense. Not anymore. I’ve concluded that this financial threshold is the latest salvo in Amazon’s War on Fake Reviews. Amazon has been waging this war since around 2012. And in so doing they’ve deleted vast numbers of reviews, many of them genuine and not in the least fraudulent. It appears that many innocent writers and reviewers are being cut down, ‘friendly fire’ casualties of Amazon’s unfeeling robots. Authors are forbidden from holding the slightest relationship with a reviewer. So if a writer develops a group of fans, those fans could be banned from writing reviews, as a fan club could be deemed a relationship by Amazon’s bots. Punishments can include banishment. For life. And there is no appeal. I’m told the entire Kindle store is run by robots and AI. Things are getting more than a little scary. And it appears that the war is largely a failure as the real scammers are getting through. This latest move, placing a minimum of purchases, will, no doubt, have its effect. But reviewers who get their reviews rejected, like the Australian reader, will be put off from writing reviews; once bitten, twice shy. At school, I was taught that it was a far, far better thing that a guilty man escapes justice than an innocent man suffers punishment. I feel that Amazon should take note. Far better that a few fraudulent reviews get through than so many genuine and honest reviews get deleted. Honest reviews benefit Amazon as well as the authors. What a pity they can’t seem to see that. …thanks, Tony… see yeez later… LUV YEEZ! Thought provoking, Seumas. Happy New Year! I tweeted this. Every one of us are in the same position Tony. Amazon doesn’t care about its writers. It proved this when it decided that payment via KENP (Kindle Edition Normalized Pages) was far cheaper than paying proper royalties, in the form of a few pence per page read. …100%, that man, Jack ! I found the same thing when I thought I had posted a review of Frank Prem’s book. I later received an email rejecting it and referring me much the same as what you mentioned here. Ridiculous! …for a commercial enterprise, Amazon seems to have ‘sales prevention’ policies! It is disappointing. All my reviews have been accepted by Amazon but that is because I shop on the website frequently. Not only are indie authors losing out, though but also traditionally published authors and those trying to get their book traction. Not every one is a David Baldacci or Stephen King. My first novel is one of those beached whales: not only did it have just two reviews, but also one of them got pushed back into the sea, never to be seen again. …daft to the nth degree! Author Tony McManus has a vital message for Amazon. Why would Amazon do that – it’s like they don’t want the the self-published authors to sell on their site. I say we boycott Amazon and find another way of selling our books!!!! Good luck with that. When you find an author friendly publisher with the nouse to pay proper royalties and promote its author’s books let us all know!!! I used to ensure I put my reviews on my web site to make up for this kind of rubbish. Honestly, from Australia, Amazon is a giant pain. You have no idea how many times we have tried to order books from there, just to be told that they don’t deliver that one to Australia. If they want their money, they have to be willing to actually post things to the customer at the very least.